She spoke halting English but didn’t say much to investigators who asked why she had three kilos of shabu in her suitcase. 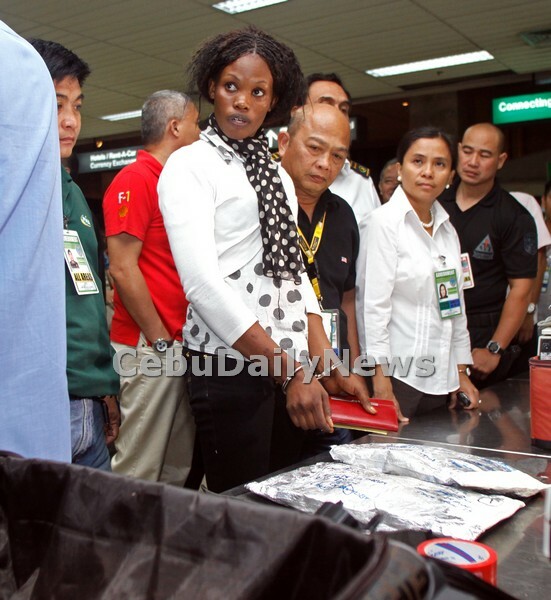 The 25-year-old Kenyan woman who was arrested yesterday at the Mactan Cebu International Airport had no cash in her wallet but kept a calm demeanor. Asha Atieno Ogutu arrived at about 4 p.m. on a Qatar flight from the Middle East city of Doha, Qatar. Drug-sniffing dogs detected contraband in her checked-in trolley bag. Inside, concealed in the lining, were two packs of shabu wrapped in foil. Each pack weighed about 1.5 kilograms. “We believe she’s a courier of a drug syndicate,” said Cebu Customs District Collector Ronnie Silvestre. Agents of the National Bureau of Investigation (NBI) in Central Visayas made the arrest after being alerted about the airline passenger by the NBI central office in Manila, which had been monitoring the drug operation. Ogutu was carrying no money, not even cash for a taxi, leading investigators to suspect someone was supposed to pick her up at the airport. Under Philippine law, possession of more than 50 grams of methamphetamine hydrochloride or shabu, regardless of its purity, draws a penalty of life imprisonment and up to P10 million in fines for one convicted in court. 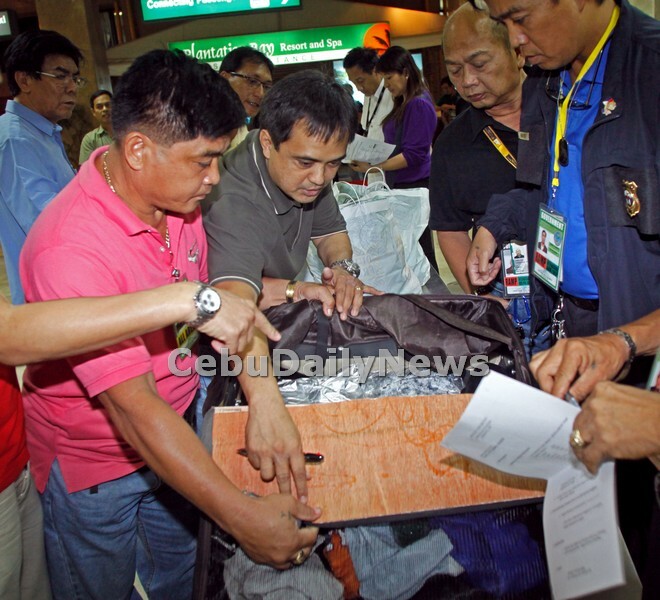 Cebu, with its international airport and high visitor traffic of 1.6 million a year, is a known transshipment point for illegal drugs that are brought to other destinations, according to drug enforcement agencies. The suspect will be temporarily detained at the NBI- 7 office in Cebu City. Throughout the examination of her luggage and questioning, Ogutu, who was holding a passport issued by the Republic of Kenya, stayed calm, not bothering to shield her face from the glare of TV cameras. The woman was expected to arrive in Manila but Ogutu instead took a flight via Cebu through Qatar Airlines flight 656. All checked-in baggage on the flight was scanned by trained K-9 dogs. The dogs reacted upon reaching the brown suitcase of the Kenyan. Two packs of white crystalline powder were tucked behind a plywood back board of the suitcase. An NBI chemist did an on-the-spot analysis of the substance at the airport and confirmed the shabu content. “We are following up the case to determine who is the recipient of the illegal drugs,” said NBI-7 Regional Director Edward Villarta. NBI–7 Assistant Regional Director Lauro Reyes said they had difficulty getting information from management of Qatar Airlines. “We were trying to ask them questions about the suspect but they would not divulge it, saying that it was confidential. How could they do that when this matter involves national security? Our job would have been easier if they cooperated with us,” Reyes said.